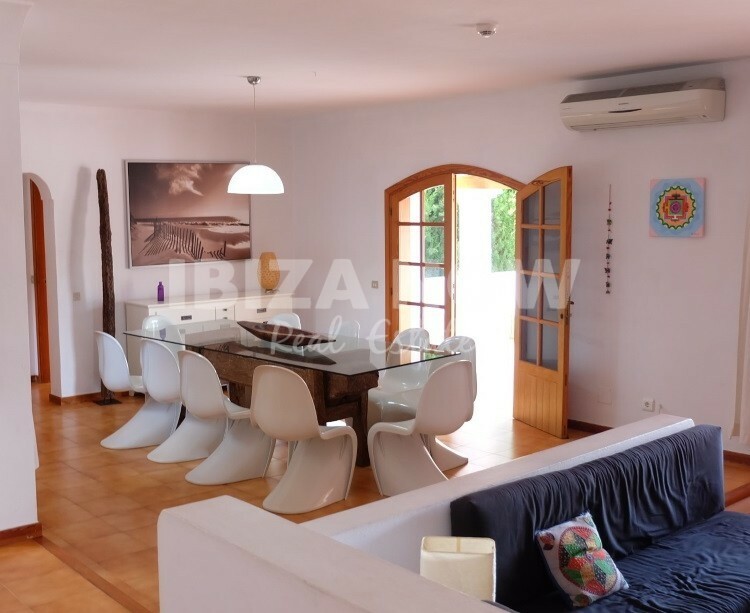 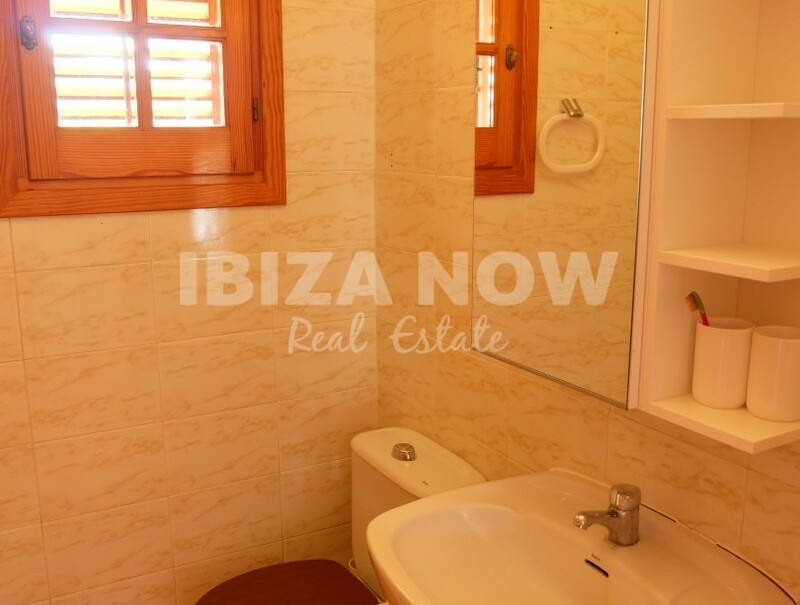 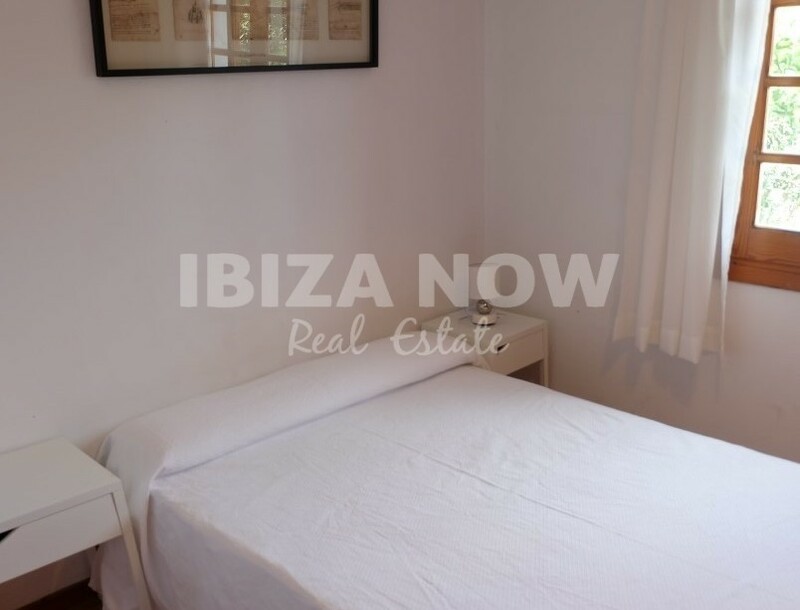 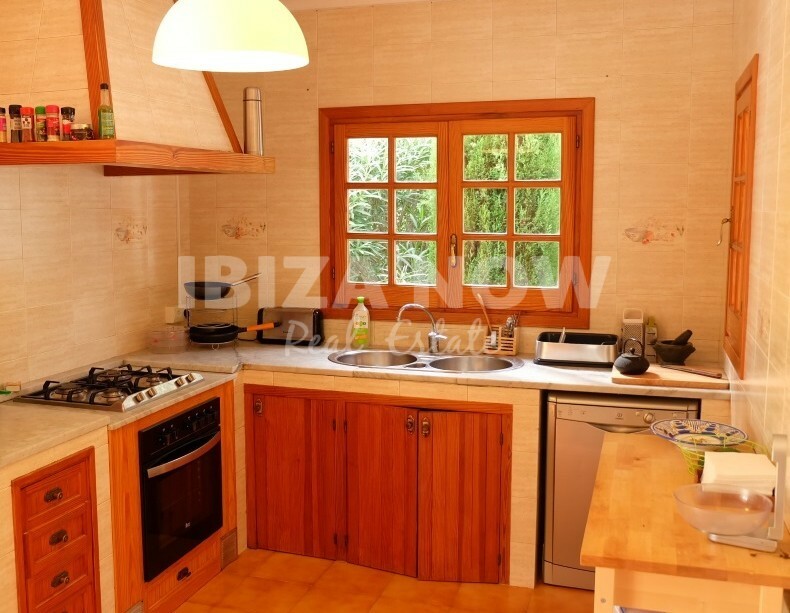 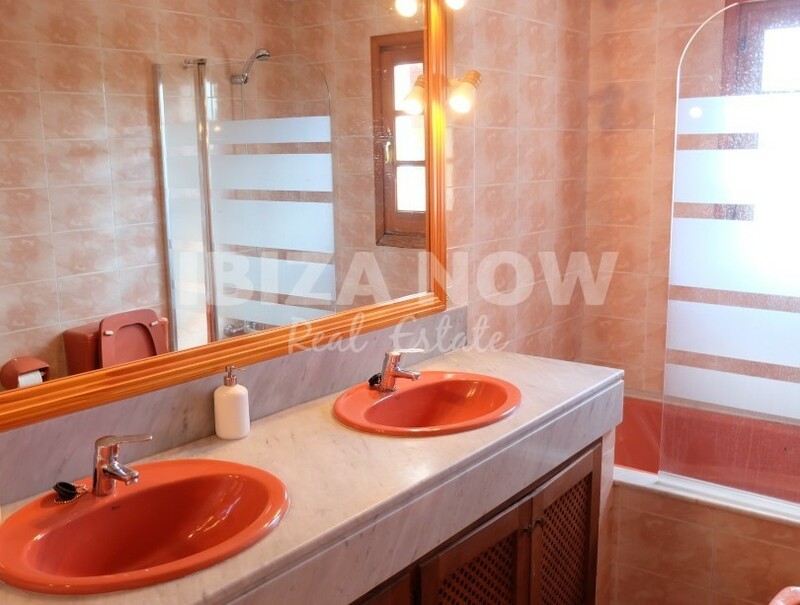 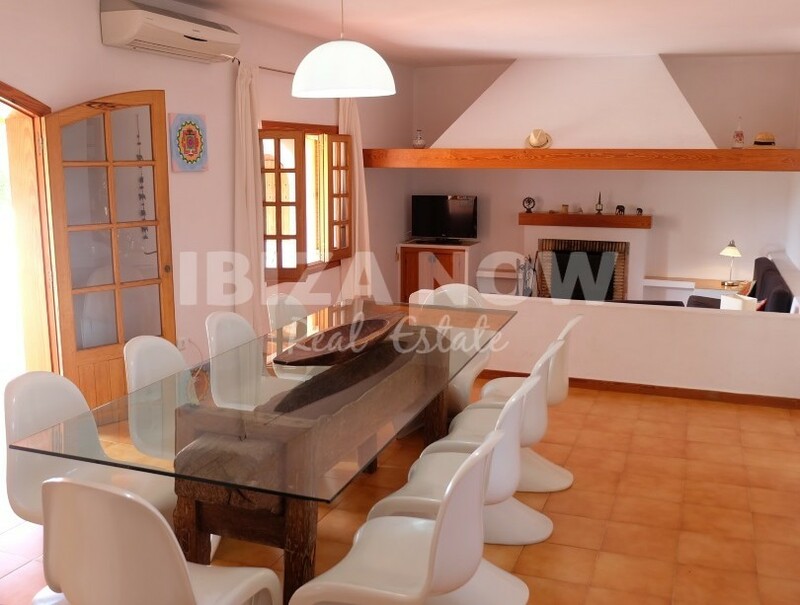 Nice Spanish villa for sale in Santa Gertrudis, Ibiza. 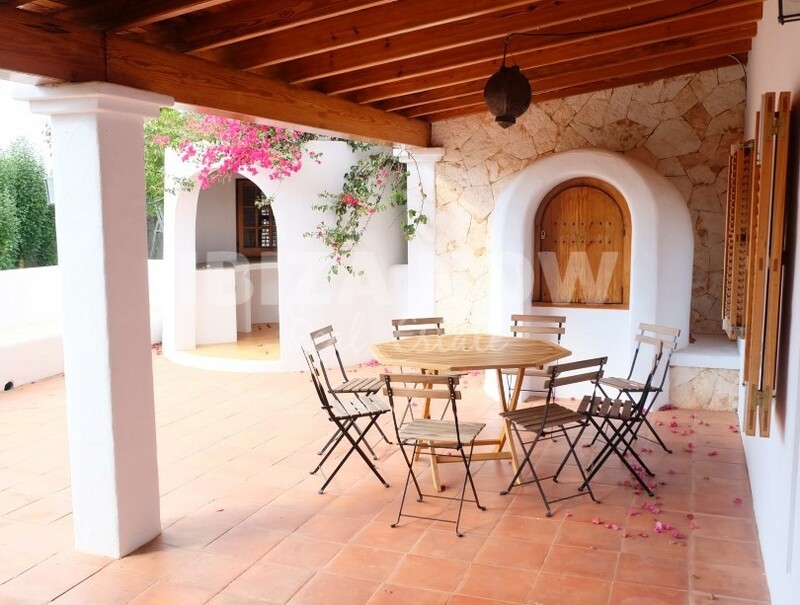 This villa is located close to the charming village of Santa Gertrudis and surrounded by lots of green. 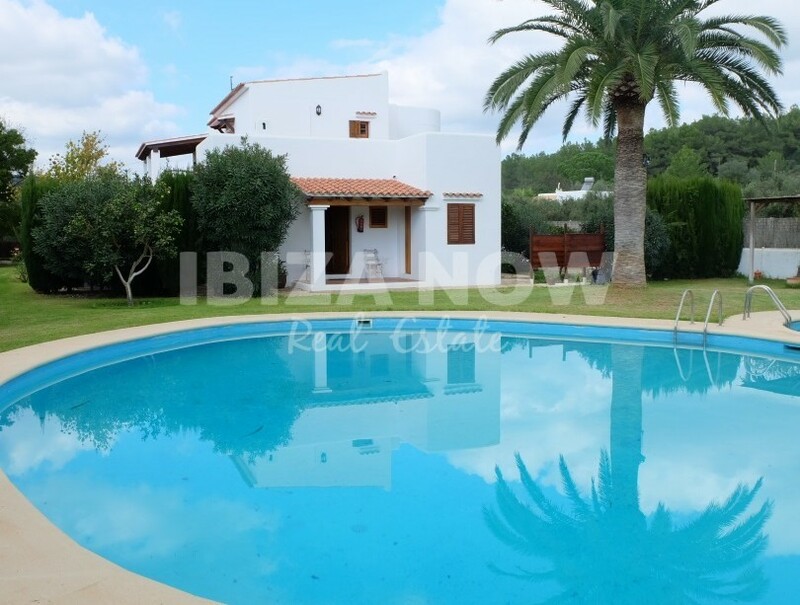 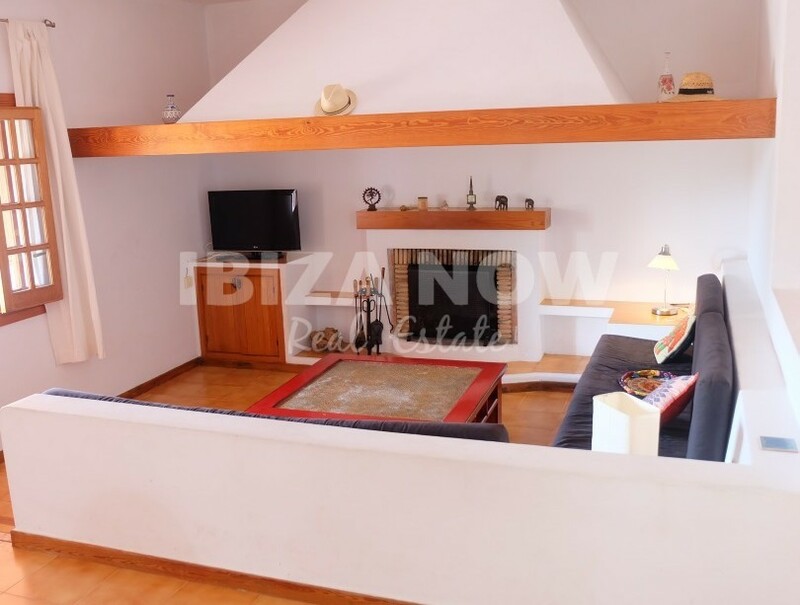 The house is set on a plot of 1600m2 with beautiful landscaping. 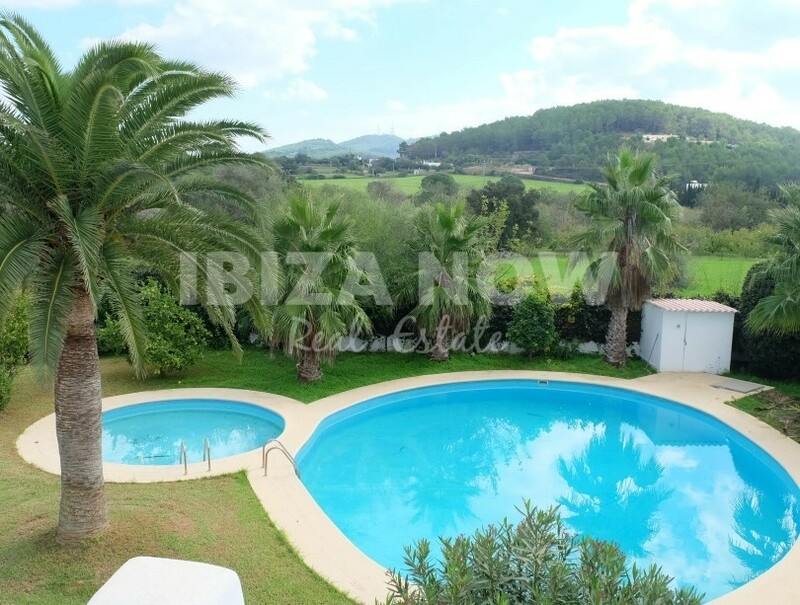 The swimming pool is large & oval and a smaller round pool for children. 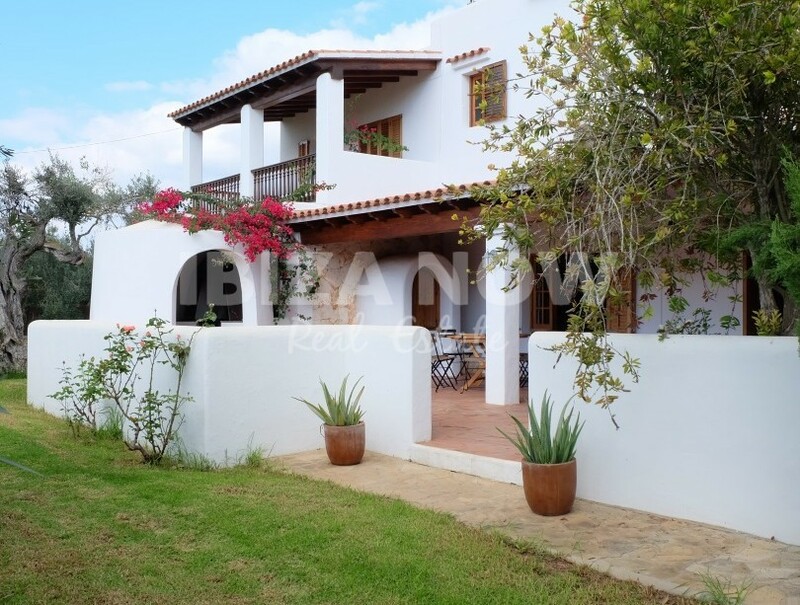 There are 5 bedrooms and 3 bathrooms, on the ground floor we find 1 double bedroom and bathroom, a kitchen area, living area with fireplace, dining room and reception hall. 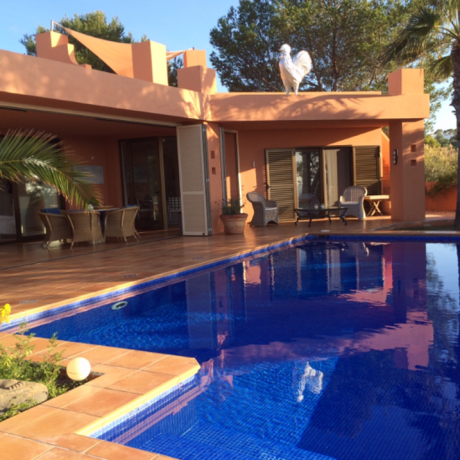 On the first floor, we have the master suite with ensuite bathroom and private terrace, 3 bedrooms, 1 bathroom and another terrace. 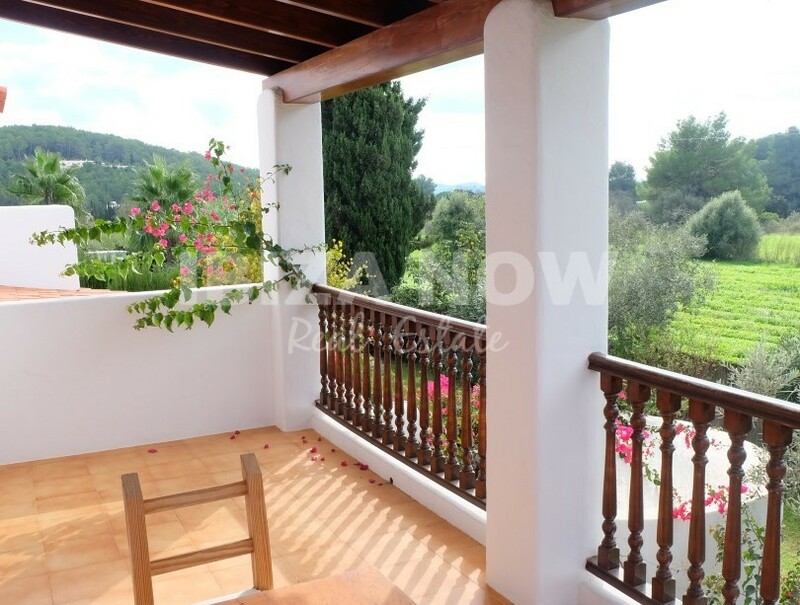 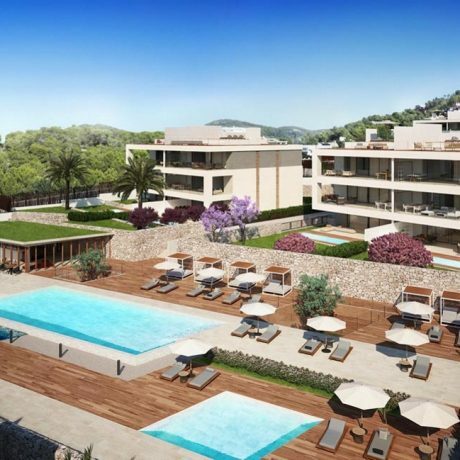 There is air-conditioning warm & cold, double glazing, covered and open terraces, own well and nice views over the countryside.